Sir Ranulph Twisleton-Wykeham-Fiennes, 3rd Baronet OBE (born 7 March 1944), commonly known as Ranulph "Ran" Fiennes (/ˈrænʌlf ˈfaɪnz/), is an English explorer and holder of several endurance records. He is also a writer and poet. Fiennes served in the British Army for eight years including a period on counter-insurgency service while attached to the Army of the Sultanate of Oman. He later undertook numerous expeditions and was the first person to visit both the North and South Poles by surface means and the first to completely cross Antarctica on foot. In May 2009, at the age of 65, he climbed to the summit of Mount Everest. According to the Guinness Book of World Records in 1984, he was the world's greatest living explorer. Fiennes has written numerous books about his army service and his expeditions as well as a book defending Robert Falcon Scott from modern revisionists. Fiennes was born in Windsor, Berkshire on 7 March 1944, nearly four months after the death of his father, Lieutenant-Colonel Sir Ranulph Twisleton-Wykeham-Fiennes. Whilst commanding the Royal Scots Greys in Italy Fiennes' father trod on a German anti-personnel S-mine and died of his wounds eleven days later in Naples on 24 November 1943. He was posthumously awarded the Distinguished Service Order. Fiennes' mother was Audrey Joan (died 2004), younger daughter of Sir Percy Newson, Bt. Fiennes inherited his father's baronetcy, becoming the 3rd Baronet of Banbury, at his birth. Fiennes is a third cousin of Mark Fiennes, whose children include actors Joseph and Ralph Fiennes, and is a distant cousin to the British Royal Family. After the war his mother moved the family to South Africa, where he remained until he was 12. While in South Africa he attended Western Province Preparatory School in Newlands, Cape Town. Fiennes then returned to be educated at Sandroyd School, Wiltshire and then at Eton College. After graduating from the Mons Officer Cadet School on 27 July 1963 Fiennes served in his father's regiment, the Royal Scots Greys, and was seconded to the Special Air Service where he specialised in demolitions. Service life was enlivened by various scrapes and escapades, including an occasion when Fiennes and another officer procured a very lively, squirming piglet, covered it with tank grease and slipped it into the crowded ballroom of the army's Staff College, Camberley. On another occasion, offended by the construction of an ugly concrete dam built by 20th Century Fox for the production of the film Doctor Dolittle in the Wiltshire village of Castle Combe, reputedly the prettiest village in England, Fiennes planned to demolish the dam. He used explosives which he later claimed to have accumulated from leftovers on training exercises. Using skills from a recently completed training course on evading search dogs by night, he escaped capture, but he and a guilty colleague were both subsequently traced. After a court case, Fiennes had to pay a large fine and he and his co-conspirator were discharged from the SAS. Fiennes was initially posted to another cavalry regiment but was then allowed to return to his regiment. Becoming disillusioned by his British Army service, in particular his career prospects, he spent the last two years of his service seconded to the army of the Sultan of Oman. At the time, Oman was experiencing a growing communist insurgency supported from neighbouring South Yemen. Fiennes had a crisis of conscience soon after arriving in Oman, as he became aware of the Sultan's poor government. However he decided that the oppression threatened by a communist takeover, combined with moves towards progressive change within the Sultanate system, justified his part in the conflict. After familiarisation, he commanded the Reconnaissance Platoon of the Muscat Regiment, seeing extensive active service in the Dhofar Rebellion. He led several raids deep into rebel-held territory on the Djebel Dhofar and was decorated for bravery by the Sultanate. After eight years' service Fiennes relinquished his commission on 27 July 1971. Since the 1960s Fiennes has been an expedition leader. He led expeditions up the White Nile on a hovercraft in 1969 and on Norway's Jostedalsbreen Glacier in 1970. One notable trek was the Transglobe Expedition he undertook between 1979 and 1982 when he and two fellow members of 21 SAS, Oliver Shepard and Charles R. Burton, journeyed around the world on its polar axis, using surface transport only. Nobody else has ever done so by any route before or since. As part of the Transglobe Expedition, Fiennes and Burton completed the Northwest Passage. They left Tuktoyaktuk on 26 July 1981, in an 18 ft open Boston Whaler and reached Tanquary Fiord on 31 August 1981. Their journey was the first open boat transit from West to East and covered around 3,000 miles (2,600 nautical miles or 4,800 km) taking a route through Dolphin and Union Strait following the south coast of Victoria Island and King William Island, north to Resolute Bay via the Franklin Strait and Peel Sound, around the south and east coasts of Devon Island, through Hell Gate and across Norwegian Bay to Eureka, Greely Bay and the head of Tanquary Fiord. Once they reached Tanquary Fiord, they had to trek a further 150 miles via Lake Hazen to Alert before setting up their winter base camp. In 1992 Fiennes led an expedition that discovered what may be an outpost of the lost city of Iram in Oman. The following year he joined nutrition specialist Dr Mike Stroud to become the first to cross the Antarctic continent unsupported; they took 93 days. A further attempt in 1996 to walk to the South Pole solo, in aid of the Breast Cancer Campaign, was unsuccessful due to a kidney stone attack and he had to be rescued from the operation by his crew. In 2000 he attempted to walk solo and unsupported to the North Pole. The expedition failed when his sleds fell through weak ice and Fiennes was forced to pull them out by hand. He sustained severe frostbite to the tips of all the fingers on his left hand, forcing him to abandon the attempt. On returning home, his surgeon insisted the necrotic fingertips be retained for several months before amputation, to allow regrowth of the remaining healthy tissue. Impatient at the pain the dying fingertips caused, Fiennes cut them off himself with an electric fretsaw, just above where the blood and the soreness was. 27 October – Race 2: Falkland Islands - "Antarctica"
In June 2005, Fiennes had to abandon an attempt to be the oldest Briton to climb Mount Everest when, in another climb for charity, he was forced to turn back as a result of heart problems, after reaching the final stopping point of the ascent. In March 2007, despite a lifelong fear of heights, Fiennes climbed the Eiger by its North Face, with sponsorship totalling £1.8 million to be paid to the Marie Curie Cancer Care Delivering Choice Programme. In 2008, Fiennes made his second attempt to climb Mount Everest, getting to within 400 metres of the summit before bad timing and bad weather stopped the expedition. On 20 May 2009, Fiennes reached the summit of Mount Everest, becoming the oldest British person to achieve this. Fiennes also became the first person ever to have climbed Everest and crossed both polar ice-caps. Of the other handful of adventurers who had visited both poles, only four had successfully crossed both polar icecaps: Norwegian Børge Ousland, Belgian Alain Hubert and Fiennes. Fiennes, in successfully reaching the summit of Everest in 2009, therefore definitely became the first person ever to achieve all three goals. Ousland wrote to congratulate him. Fiennes continues to compete in UK-based endurance events and has seen recent success in the veteran categories of some Mountain Marathon races. His training nowadays consists of regular two-hour runs around Exmoor. In September 2012 it was announced that Fiennes was to lead the first attempt to cross Antarctica during the southern winter, in aid of the charity Seeing is Believing, an initiative to prevent avoidable blindness. The six-man team was dropped off by ship at Crown Bay in Queen Maud Land in January 2013, and waited until the Southern Hemisphere's autumnal equinox on 21 March 2013 before embarking across the ice shelf. 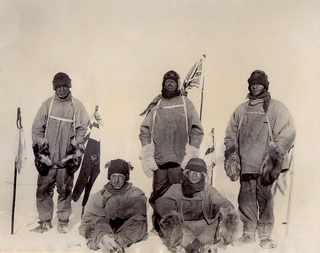 The team would ascend 10,000 feet (3,000 m) onto the inland plateau, and head to the South Pole. The intention was for Fiennes and his skiing partner, Dr Mike Stroud , to lead on foot and be followed by two bulldozers dragging industrial sledges. Fiennes had to pull out of The Coldest Journey expedition on 25 February 2013 because of frostbite and was evacuated from Antarctica. Fiennes' career as an author has developed alongside his career as an explorer: he is the author of 24 fiction and non-fiction books , including The Feather Men. In 2003, he published a biography of Captain Robert Falcon Scott which attempted to provide a robust defence of Scott's achievements and reputation, which had been strongly questioned by biographers such as Roland Huntford. Although others have made comparisons between Fiennes and Scott, Fiennes says he identifies more with Lawrence Oates, another member of Scott's doomed Antarctic team. 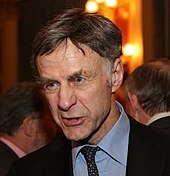 Fiennes stood for the Countryside Party in the 2004 European elections in the South West England region – fourth on their list of six. The party received 30,824 votes – insufficient for any of their candidates to be elected. Contrary to some reports, he has never been an official patron of the UK Independence Party. He is also a member of the libertarian pressure group The Freedom Association. In August 2014, Fiennes was one of 200 public figures who were signatories to a letter to The Guardian opposing Scottish independence in the run-up to September's referendum on that issue. As a guest on the British motoring television programme Top Gear, as a Star in a Reasonably Priced Car, his test track lap time, in a Suzuki Liana was 1:51, putting him 26th out of 65. He also appeared in the Polar Special episode, casually berating the three hosts for their flippant attitude toward the dangers of the Arctic. According to an interview on Top Gear, Fiennes was considered for the role of James Bond during the casting process, making it to the final six contenders, but was rejected by Cubby Broccoli for having "hands too big and a face like a farmer", and Roger Moore was eventually chosen. Fiennes related this tale again during one of his appearances on Countdown, in which he referred also to a brief film career that included an appearance alongside Liz Frazer. Between 1 and 5 October 2012, and again from 13–19 November 2013, Fiennes featured on the Channel 4 game show Countdown as the celebrity guest in 'Dictionary Corner' and provided interludes based on his life stories and explorations. Most recently Fiennes was an expert guest commentator on the PBS documentary Chasing Shackleton which aired in January 2014. Fiennes makes a number of corporate and after dinner speeches. Fiennes married his childhood sweetheart Virginia ("Ginny") Pepper on 9 September 1970. They ran a country farm estate in Exmoor, Somerset, where they raised cattle and sheep. Ginny built up a herd of Aberdeen Angus cattle while Fiennes was away on his expeditions. The extent of her support for him was so great that she became the first woman to receive the Polar Medal. The two remained married until her death from stomach cancer in February 2004. Fiennes embarked on a lecture tour, where in Cheshire he met Louise Millington, whom he married at St Boniface's Church, Bunbury, one year and three weeks after Ginny's death. A daughter, Elizabeth, was born in April 2006. He also has a stepson named Alexander. In 2007 Millington was interviewed by The Daily Telegraph to help raise money for the Philip Leverhulme Equine Hospital in Cheshire. In 2003, Fiennes suffered a heart attack and underwent emergency bypass surgery. On 6 March 2010, Fiennes was involved in a three-car collision in Stockport which resulted in minor injuries to himself and serious injuries to the driver of another car. He had been in Stockport to participate in the annual High Peak Marathon in Derbyshire as part of a veterans' team known as Poles Apart that, despite the freezing conditions, managed to win the veterans' trophy in just over 12 hours. Fiennes is a member of the Worshipful Company of Vintners, the Highland Society of London and holds honorary membership of the Travellers Club. In 1970, while serving with the Omani Army, Fiennes received the Sultan's Bravery Medal. He has also been awarded a number of honorary doctorates, the first in 1986 by Loughborough University, followed in 1995 by University of Central England, in 2000 by University of Portsmouth, 2002 by Glasgow Caledonian University, 2005 by University of Sheffield, 2007 by University of Abertay Dundee and September 2011 by University of Plymouth. Fiennes later received the Royal Geographical Society's Founder's Medal. Fiennes was appointed Officer of the Order of the British Empire in 1993 for "human endeavour and for charitable services": his expeditions have raised £14 million for good causes. In 1986 Fiennes was awarded the Polar Medal for "outstanding service to British Polar exploration and research." In 1994 he was awarded a second clasp to the Polar Medal, having visited both poles. He remains the only person to have received a double clasp for both the Arctic and Antarctica. In May 2007 Fiennes received ITV's Greatest Britons Award for Sport beating fellow nominees Lewis Hamilton and Joe Calzaghe. In October 2007 Fiennes ranked 94th (tied with five others) in a list of the "Top 100 living geniuses" published by The Daily Telegraph. In late 2008/early 2009 Fiennes took part in a new BBC programme called Top Dogs: Adventures in War, Sea and Ice, in which he teamed with fellow Britons John Simpson, the BBC News world affairs editor, and Sir Robin Knox-Johnston, the round-the-world yachtsman. The team undertook three trips, with each team member experiencing the other's adventure field. The first episode, aired on 27 March 2009, saw Fiennes, Simpson and Knox-Johnston go on a news-gathering trip to Afghanistan. The team reported from the Khyber Pass and the Tora Bora mountain complex. 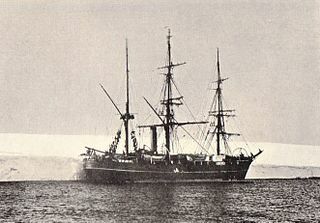 In the other two episodes they undertook a voyage around Cape Horn and an expedition hauling sledges across the deep-frozen Frobisher Bay in the far north of Canada. In 2010 Fiennes was named as the UK's top celebrity fundraiser by Justgiving, after raising more than £2.5 million for Marie Curie Cancer Care over the previous two years – more than any other celebrity fundraiser featured on JustGiving.com during the same period. In September 2011 Fiennes was awarded an honorary Doctorate in Science from Plymouth University and in July 2012 he was awarded an Honorary Fellowship from the University of Glamorgan. In December 2012 Fiennes was named one of the Men of the Year for 2012 by Top Gear magazine. In October 2014 it was announced that Fiennes would receive an honorary Doctorate of Science, from the University of Chester, in recognition of "outstanding and inspirational contribution to the field of exploration". The Feather Men (1991) The non-fiction book upon which the 2011 film Killer Elite is based. ^ "Index entry". FreeBMD. ONS. Retrieved 7 August 2016. ^ Fiennes, Ranulph (17 October 2009). "My family (and other misfits): Intrepid explorer Ranulph Fiennes tells the extraordinary stories of his ancestors". Daily Mail. Retrieved 7 August 2016. ^ "No. 43116". The London Gazette (Supplement). 24 September 1963. pp. 7978–7979. ^ "No. 45433". The London Gazette (Supplement). 27 July 1971. p. 8051. ^ "Scott Polar Research Institute, Cambridge » 'Polar Bytes' no. 48". www.spri.cam.ac.uk. Retrieved 2018-05-25. ^ "Sir Ranulph Fiennes announces latest challenge | OutdoorsRadar". OutdoorsRadar. 2016-07-19. Retrieved 2018-05-25. ^ "Freeze Frame » Transglobe Expedition 1979-82". www.freezeframe.ac.uk. Retrieved 2018-05-25. ^ a b Day, Alan (2006-01-03). Historical Dictionary of the Discovery and Exploration of the Northwest Passage. Scarecrow Press. pp. 91–93. ISBN 9780810865198. ^ "Sir Ranulph Fiennes, Bt. O.B.E." Kobold Watch. 2 November 2003. 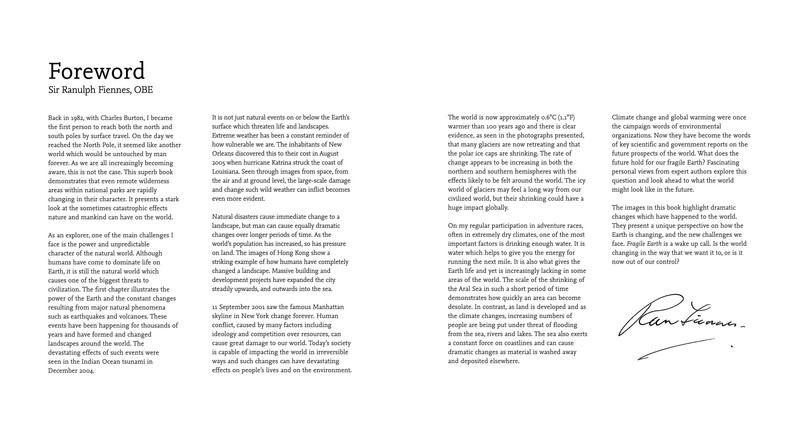 Archived from the original on 19 April 2012. Retrieved 28 March 2012. ^ Henley, Jon (5 October 2007). "'I am not a madman'". The Guardian. London. Retrieved 9 January 2015. ^ "Fiennes climbs to Everest summit". BBC News. 20 May 2009. Retrieved 22 May 2009. ^ "by Explorersweb". AdventureStats. 2003-09-30. Retrieved 2013-08-16. ^ "News and Events :: Ranulph Fiennes". www.ranulphfiennes.co.uk. Retrieved 2019-03-25. ^ Price, Matthew (17 September 2012). "Sir Ranulph Fiennes to attempt record Antarctica trek". BBC News. Retrieved 16 August 2013. ^ Bowring, Hugh (25 February 2013). "Latest News". The Coldest Journey. Retrieved 16 August 2013. ^ "Ranulph Fiennes pulls out of Antarctic journey". USA Today. Associated Press. 25 February 2013. Retrieved 16 August 2013. ^ "Books :: Ranulph Fiennes". www.ranulphfiennes.co.uk. Retrieved 2019-03-25. ^ Fiennes, Ranulph (20 March 2019). "Q&A With Sir Ranulph Fiennes". Ranulph Fiennes Official Website. Retrieved 25 March 2019. ^ "The Freedom Association - Council & Supporters". Archived from the original on 17 May 2013. ^ Top Gear Series 4, Episode 9, airdate 25 July 2004. ^ Countdown, 19 November 2013. When he recounted this story, Fiennes initially confused Frazer with another Carry On actress, Barbara Windsor, excusing himself on the grounds that they were both "big up top". ^ "Sir Ranulph Fiennes". Military Speakers. Retrieved 2014-08-26. ^ Sanderson, Elizabeth (22 July 2006). "Intriguing past of Sir Ranulph Fiennes's new wife". The Mail on Sunday. London. Retrieved 9 January 2015. ^ Jardine, Cassandra (16 April 2007). "'Of course I am an evil, evil woman'". The Daily Telegraph. Retrieved 16 August 2013. ^ "Sir Ranulph Fiennes has emergency heart attack surgery". 2003-06-08. ^ "Explorer Sir Ranulph Fiennes in car crash in Stockport". BBC News. 7 March 2010. Retrieved 9 January 2015. ^ "Sir Ranulph Fiennes, Bt, OBE Authorised Biography". Debrett's. Archived from the original on 15 January 2015. Retrieved 9 January 2014. ^ a b "Sir Ranulph Fiennes gets Plymouth University honorary doctorate - BBC News". BBC News. 2011-09-21. Retrieved 10 August 2015. ^ "Ranulph Fiennes". Bigredbook.info. Retrieved 22 September 2017. ^ "No. 53332". The London Gazette (Supplement). 11 June 1993. p. 13. ^ "No. 50650". The London Gazette (Supplement). 8 September 1986. p. 11713. ^ "No. 53882". The London Gazette (Supplement). 29 December 1994. p. 17745. ^ Top Gear series 9, Polar Special. ^ "Top 100 living geniuses". The Daily Telegraph. London. 31 October 2007. Retrieved 30 July 2009. ^ "Glamorgan graduates meet Britain's most famous modern-day explorer". News.glam.ac.uk. 2012-07-18. Retrieved 2013-08-16. ^ "Sir Ranulph Fiennes heads to Antarctica". Top Gear. 9 January 2013. Retrieved 9 January 2015. ^ "Leading names to join students at graduation celebrations". chester.ac.uk. Retrieved 25 January 2015. 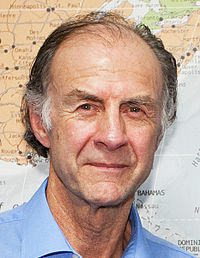 Wikimedia Commons has media related to Ranulph Fiennes. Sir Christian John Storey Bonington, CVO, CBE, DL is a British mountaineer. Kenton Edward Cool is an English mountaineer, alpinist and IFMGA mountain guide. He is one of Britain's leading alpine and high altitude climbers and has summited Mount Everest thirteen times, including leading Sir Ranulph Fiennes' 2008 and 2009 Expeditions.